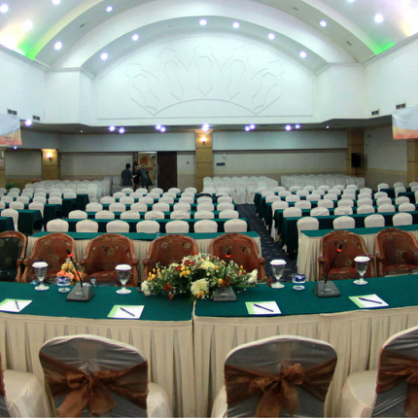 Gelora ballroom located on the 2nd floor, is suitable for a variety of events, such as: Wedding, product launches, event corporations, exhibitions, Music concert and other events. Another advantage of the Gelora Ballroom, among others: Voyer has a room that can be used for exhibition stands, buffet tables, photo gallery, food and soft drinks stalls, and others. As well you can relax, while enjoying food and drinks are served on the terrace, with views of the beautiful Grand Mosque of Al-Mahsun and shopping centers.